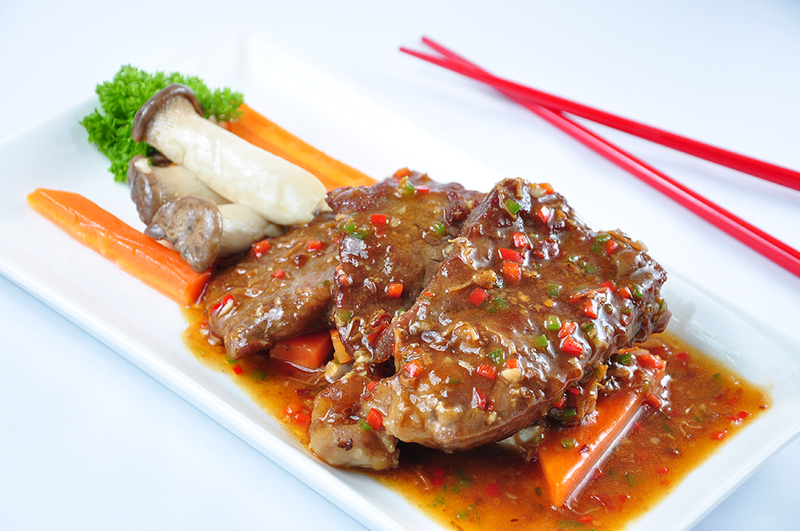 May 2015, Bangkok: Silver Waves Chinese Restaurant recently claimed the 2015 certificate of excellence by TripAdvisor, the world’s largest travel site; after winning a Bangkok Best Restaurant Award for 2014 by Bangkok Best Dining & Entertainment and 2015 Best Restaurant by Thailand Tatler previously. Moreover, Silver Waves Chinese Restaurant, renowned as Bangkok’s best and highest Chinese restaurant by the river, also listed as a 2014 Top Cantonese Restaurant by USA Today’s 10best.com and as one of Bangkok’s 10 Best Chinese Restaurants with the best Bangkok city and Chao Phraya river views. Winning the 2015 Certificate of Excellence by TripAdvisor clearly demonstrates Silver Waves’ culinary excellence and represents the upper echelon of restaurants listed on TripAdvisor, the world’s largest travel site. Dine on the 36th floor of Chatrium Hotel Riverside Bangkok with stunning views of the Chao Phraya River and an exquisite atmosphere where the ambience reflects the contemporary luxury of Bangkok with a modern Chinese interior design. Silver Waves offers an authentic Cantonese cuisine presented in an iconic way of delicately handmade dim sum to luxurious feasts. Chef Yang En Chung, our Chinese Master Chef, creates a various selection of authentic Cantonese styles and modern Chinese cuisines. 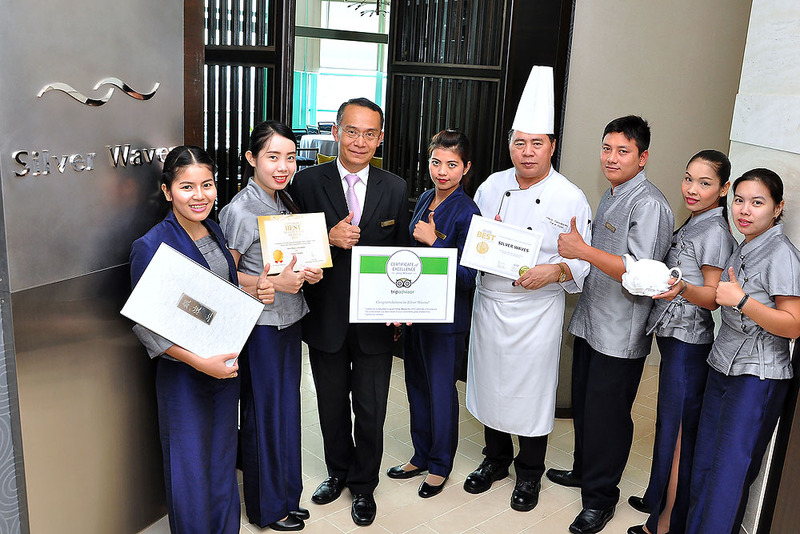 “We are highly honored by our guests leading us to this prestigious award from TripAdvisor. We sincerely believe in serving guests from our heart with Thai Hospitality. We also greatly appreciate all reviews for Silver Waves Restaurant. We are deeply inspired to continue to enhance our service onwards, said Mr. Adrian Brown, General Manager of Chatrium Hotel Riverside Bangkok. The Certificate of Excellence award by TripAdvisor is given only to establishments that consistently achieve outstanding traveler reviews on TripAdvisor. Certificate of Excellence honorees are determined by travelers through their ratings and reviews on TripAdvisor. Situated beside the legendary Chao Phraya River, Chatrium Hotel Riverside Bangkok is our multiple award-winning 5-star hotel in Bangkok offering unparalleled and truly breathtaking views. Our superiorly spacious and luxuriously appointed guestrooms feature captivating river or cityscape views from the comfort of your bed or private balcony. 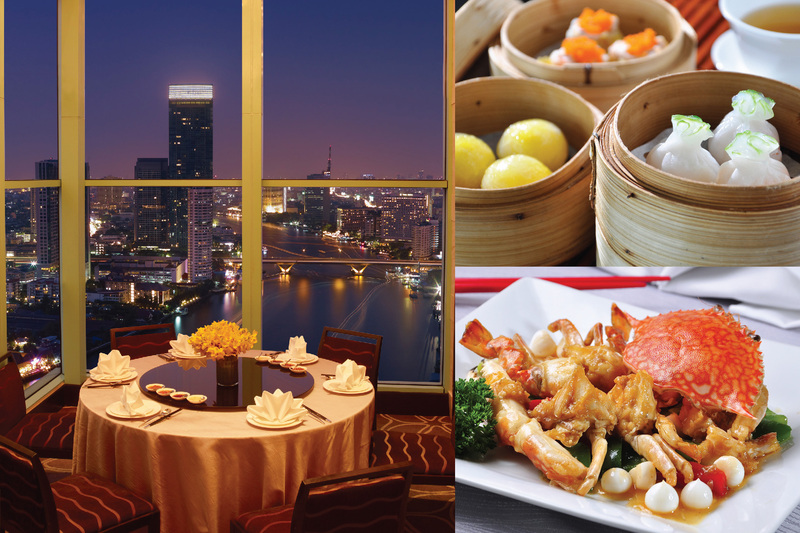 Dine at any of our six restaurants including spectacular buffets by the river and sky-high Chinese cuisine. The Function Room or grand events capacities are up to 700 people in the Chatrium Ballroom. Travel by water on our complimentary shuttle boat service that takes you along the Chao Phraya River to the Saphan Thaksin Bangkok Mass Transit Station. Your captivating riverside escape begins here. Next PostNext Time to Expose Who Creates the Heavenly Dishes at Chatrium Hotel Riverside Bangkok!